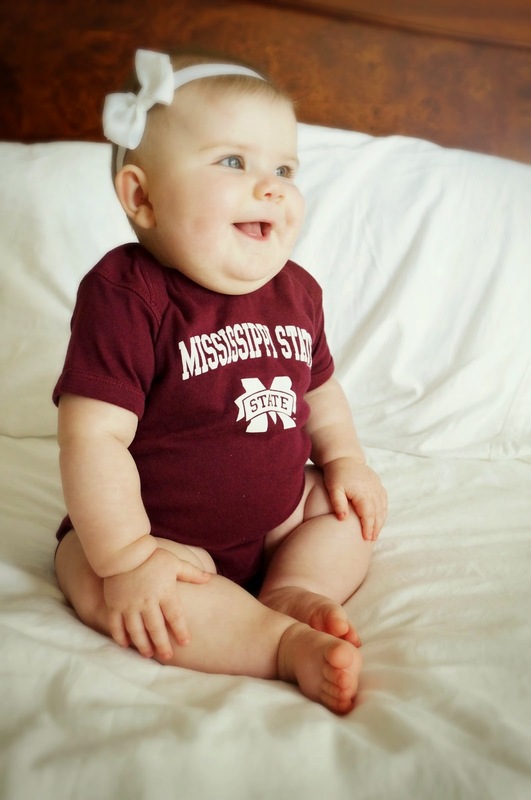 We LOVE our football, especially our Mississippi State football team! And getting AC dressed and ready to cheer for our boys is so much fun. 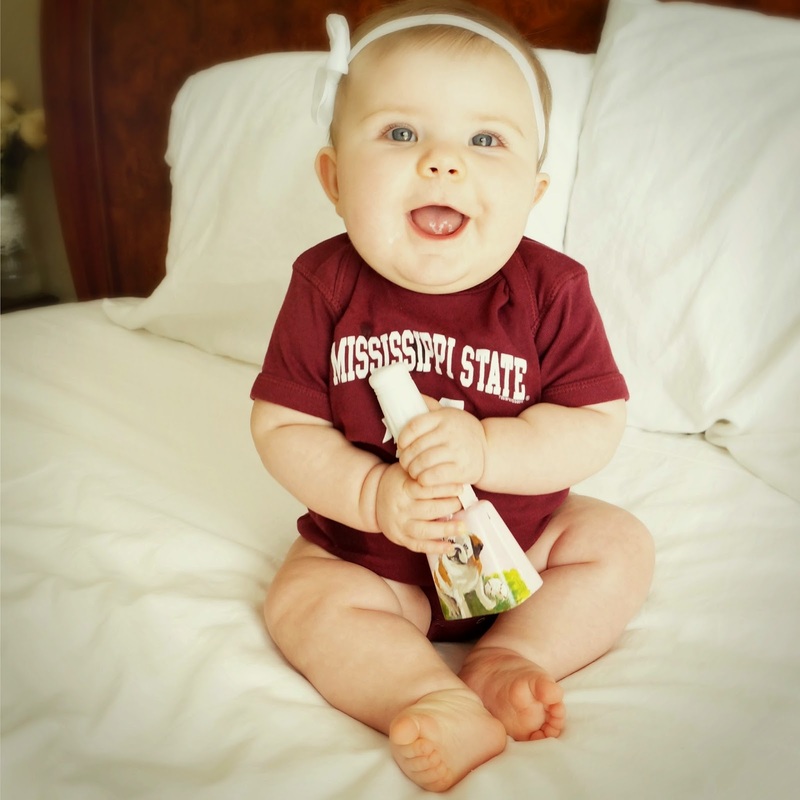 She loves her cowbell and wearing maroon and white! She looks super happy about it too!! Hello Fall! I missed you!